This may strike you as way off the normal “Caller Experience” blog, and well, I’d have to agree. But I had a couple of experiences with QR codes lately, and I wanted to share these with you. You are very techy and try to implement good new technology…what is your take on QR Codes? With QR codes, there are a couple of things to think about. So if you’re picturing putting one on your business card, for instance, think carefully about where that link should send the viewer. Sending mobile browser users to your main “desktop” website home page probably isn’t going to provide them any value. Sending them to a special mobile version of your contact page, that allows them to import your contact information into their phone in one click would be extremely valueable! QR codes aren’t “magic sauce”, they’re simply another tool that I believe will become more prevelant and understood. And along the way, we’ll run into some really terrible uses that people come up with! Like the mailer I got yesterday from a car dealer. The QR code was supposed to go to http://cardealer’swebsite.com, but instead it went to http://cardealerswebsite/. Without the “.com” on the end, that’s a mal-formed URL, and when you scan the QR code, you either get a Page Cannot Be Found error, or a search engine result trying to find cardealer’swebsite! A terrible, terrible QR code implementation! 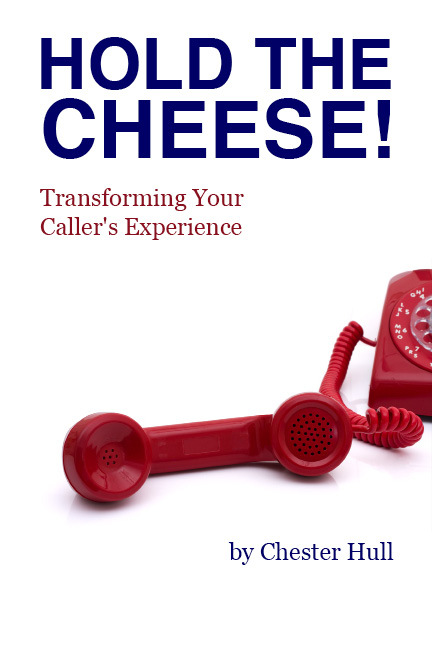 I’m writing a book about the Caller Experience. And while I’ll probably publish it as an e-book, I also think there is something of value by publishing an actual bound book. The thing is, a lot of the examples I write about in the book are audio or video clips that I want people to hear or watch! With QR codes, as with any other customer interaction, a little bit of thought, from the customer’s perspective, is what’s critical to either success or failure! Dave Young of BrandingBlog asked if he could interview me for his BrandingBlog Radio series, and the interview just went “live” at his blog. I was delighted to talk with Dave, and discuss some of the ways Prosound is helping businesses transform their Caller Experience. Listen to the podcast from BrandingBlog.com, or subscribe in iTunes. We are very excited to be transforming the caller experience for Virginia National Bank throughout Virginia with a new Custom On-Hold message! Virginia National Bank is a true community bank, meeting the needs of the communities it serves, and sharing in it’s growth. VNB opened in Charlottesville, Virginia in 1998 with more than 900 local shareholders. Their mission has always been to provide great personal service, local access to decision makers, and continuity in your relationship. Virginia National Bank also believes in supporting local nonprofit organizations– organizations that serve as advocates for those whose needs could easily be overlooked. VNB was playing generic, built-in music that came with their phone system to callers who had to be On-Hold. Through understanding what their goals were for phone interactions, we were able to design a custom On-Hold solution that carries the VNB message to their customers…unifying the contact points across VNB with the same messaging. 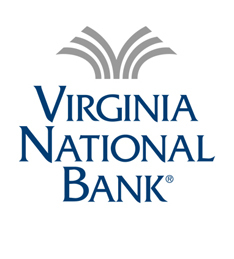 Virginia National Bank also uses the On-Hold message to highlight community involvment and activities they sponsor, like the Charlottesville 10 Miler, and other arts and crafts events. Prosound has used the customer’s time On-Hold to extend the warm, caring experience of Virginia National Bank to each caller. Welcome a new On-Hold messaging client! We are very excited to be transforming the caller experience for Truslow Yost Insurance in Orange, Virginia with a new Custom On-Hold message, and Auto Attendant design! Truslow Yost Insurance is an independent business and personal insurance agency in Central Virginia. 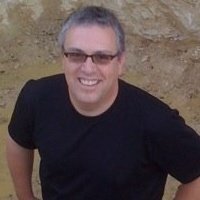 Greg Truslowhas expertise in the resolution of problems. His goal is to use his experience to define your insurance needs, develop innovative solutions to provide you with the superior protection you require and to do so at the lowest possible cost. Greg values the relationships he has with his clients and works hard to maintain a reputation of fairness, trust and honesty within the community. Truslow Yost Insurance recognized a need to be able to talk to customers about the many types of insurance they offer. They write insurance for all types of business risk, from general liability to worker’s compensation, key employee insurance and most every risk a business might face, including crop, farm and health insurance. They’re not your typical small-town agency…and they wouldn’t have it any other way. This On-Hold message works to introduce new areas of the business to callers, to educate potential customers about the agency, and to strengthen the relationship with existing clients. Prosound has used the customer’s time On-Hold to extend the warm, caring experience of Truslow Yost Insurance to each caller. We are very excited to be transforming the caller experience for Virginia Veterinary Specialists in Charlottesville, Virginia with a new Custom On-Hold message! Virginia Veterinary Specialists is the first referral veterinary specialist in Central Virginia. Virginia Veterinary Specialists provides a very specialized level of care for pets, while still maintaining a patient’s relationship with their primary care veterinarian. Virgina Veterinary Specialists provides complex veterinary orthopedic, neurologic and soft tissue procedures, as well as ultrasound, chemotherapy, endoscopy, and more. Dr. Jason Wheeler and Dr. Carrie Miller are delighted to be able to bring their passion for specialty care to the Charlottesville area. Dr. Jason Wheeler has appeared on several episodes of the popular Animal Planet’s TV show, Emergency Vets, and became Board Certified in 2005. Dr. Carrie Miller completed her internship and residency at Wheat Ridge Veterinary Specialists in Wheat Ridge CO, and was board certified in 2003. The new On-Hold messages works to introduce the practice, as well as Dr Miller and Dr Wheeler, to the area, and seeks to strengthen the referral relationship with primary veterinary care providers. Prior to working with Prosound, callers to Virginia Veterinary Specialist heard “beep-beep” whenever they were placed On-Hold. Prosound has used the customer’s time On-Hold to extend the warm, caring experience of Virginia Veterinary Specialists to each caller. Ready to transform your company’s Caller Experience? It helps you wake up in the morning. You watch it while you’re eating breakfast. News. It’s all around us…and we all love it. We like it because we want to be “in the know”. 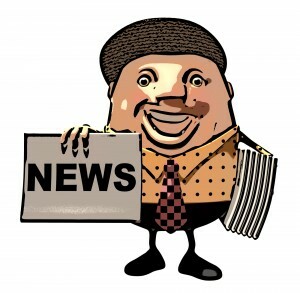 We want to have the latest information…the current story. We all like to be the one at the party that has all the details to tell everyone else. Oh, not in a self important, smug way, but just a subtle “I’m with it” kind of way. That’s why we’re really excited to be bringing News, Sports, and Entertainment to your On-Hold message! Starting in September 2010, you’ll be able to choose our Daily News package add-on, which includes news, sports, and entertainment…(always filtered for positive, upbeat news, of course! ), updated daily. It integrates with your current On-Hold message, so you still continue to spread the word about your company, while also providing a fresh alternative to boring On-Hold time. For one dollar per day, you get fresh, daily content integrated with your own custom messaging. Imagine sounding relevant to your caller! Just give us a call, and we’ll add News, Sports, and Entertainment to your On-Hold message! One month ago today, I was in San Diego, California at the international On-Hold Messaging Association’s 10th Annual Conference. If you are evaluating an On-Hold messaging company to provide messaging for your business, make sure you ask if they are an OHMA member before you commit to working with them. Members are required to meet higher standards in order to maintain their membership. And that means a higher standard of service for you. On Hold Messaging must be the member’s primary business function. Members must have a proven track record of On Hold Messaging excellence. Members must be a comprehensive, full-service provider. Members must provide flexible payment options. Member is held accountable to OHMA standards. OHMA will provide arbitration in the unlikely event of a dispute. Did you know that Hold time (the time callers are On-Hold for your company) is just as important as Broadcast time? Hold time is real, and it’s captive. You should be using this Hold time to deliver compelling, relevant content, tailored to who your caller is. I flew home from the OHMA conference in San Diego, and turned around to drive to Austin, Texas to go to Sunpop Studios, where the team at Sunpop did an incredible job helping deliver our unique message through the medium of video. Sunpop’s method of creating a video is so completely different from anything else out there! The secret is in the pre-production, and the process. You see, the video shoot is completely unscripted. You’re in front of a camera, but rather then having to come up with what you want to say, and try to get all the lines right, you simply have a conversation with Sunpop’s “conversationalist”. This person knows just enough about your or your company to ask questions, but they don’t have the answers. They are asking real questions, and you are giving real responses! The result is a video that really connects with viewers in an authentic, direct way. It’s like pulling back the curtain, and giving visitors a little glimpse of who you really are. And these guys at Sunpop Studios really make it terrifically fun process! From Sunpop, it was on to the Wizard Academy, A (very!) Nontraditional Business School. It’s all about discovering the science behind every art. If you ever have a chance to go, you will NOT be disappointed! Most people want to protect at least two things, which sends them into paralysis. You see, you have to decide what is Number 1. The thing that everything else will be sacrificed for. Then you can determine what it will take to get to that goal. Everything else is secondary to that Number 1 thing…whatever it is. And now, back in the office, I contemplate for you…what is it that you will do Outrageously? What will you do to surprise people? You have to surprise people constantly with things that are new, surprising and interesting. Are you ready to launch? Let us help you find YOUR surprise! “A smart man makes a mistake, learns from it, and never makes that mistake again. But a wise man finds a smart man, and learns from him, how not to make that mistake to begin with!” Roy H. Williams. Wow, we made it! A few of you have been privy to the fact that we’ve been working hard since early November to create a brand new website for Prosound. And it’s finally launched! 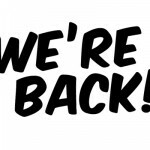 You’ll find our new home at wwwprosoundusa.com. We’re really proud of it! With the tremendous experience and guidance of Paul Boomer (aka “Boomer”) and Dave Young, (two of the partners at Wizard of Ads, Inc., a research and consulting organization based on Austin, Texas), we were able to do an extensive amount of research into why customers and potential clients come to our site, what information they are looking for, and how to best present that to them. We also were able to integrate our blog platform with our website, so both now share a consistent look and feel. Beyond just the design and the scripting, a website is only as valuable as it’s analytics, and Dave and Boomer are experts at testing, tweaking, testing, tweaking, and fully optimizing the site, based on how visitors are actually browsing! I’m sure that some of you have been putting off creating (or re-creating) your website for far longer than you should have! If you’re ready to invest the time and effort to make your website work for you, I highly recommend contacting Dave or Boomer. I’m personally very excited about our Caller Experience Evaluation service that shows you what changes to your phone experience will optimize your customer service. We’ve also implemented a new Support ticket system to enhance the way we receive and respond to any support request you have. Enjoy the new site, and if you’re a current client, we’d love a testimonial from you! If you’d like to find Dave or Boomer, feel free to contact them. Thanks, and I’ll look forward to seeing you online! « Ghost voices on the phone?